Waterdown Airport Limo and Waterdown Airport Taxi is presented by Hamilton Airport Limousine. Town of Waterdown is suburb of the city of Hamilton, offering full service Airport Transportation to and from Toronto Pearson International Airport, Hamilton International Airport, and Waterloo Airport, Niagara Falls Airport or Buffalo Airport and other Ontario regional airports. When you want to ride in style, call us. You’ll get the best ride at the best price. Don't drive to the airport, book our Waterdown Airport Taxi! You'll travel in luxury and avoid the hassle of parking garages and battling traffic. HamiltonAirport limousine service from / to Waterdown - Airfleet limousine specializes in providing Waterdown airport limo service to and from Toronto Pearson Airport, Toronto Island Airport and Buffalo Airport. With our luxury vehicles in its fleet, Hamilton Limousine provides reliable and economical flat-rate airport limousine and taxi transportation to / from Waterdown and surrounding areas. We will ensure that your ride to the Airport from / to Waterdown, is filled with style, elegance and comfort. Be sure to check out our great one way flat rates for a Taxi to Toronto Airport and GTA. 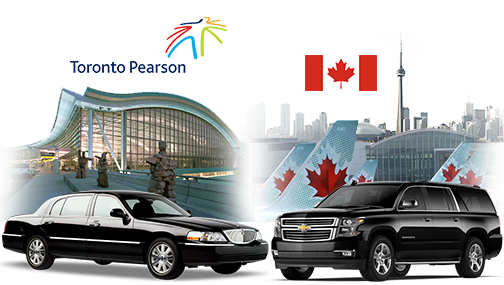 Luxurious airport limo and airport taxi transportation service at affordable flat rate fares to Toronto Pearson Airport, Hamilton Airport, Billy Bishop Airport and Buffalo Airport. Also we provide limo service to Toronto, Hamilton, Mississauga, Niagara Falls and rest of Southern Ontario from Waterdown.